This summer I interned with the Nasdaq Futures Exchange in Chicago, Illinois. My theme is Technology and Society and my Global Challenge is: how can organizations harness technology and data. The past few years the growth of technology in our world has been apparent and fast moving. Almost everything can be connected with technology. To remain competitive in the marketplace, and keep up with competitors, organizations must figure out a way to harness the power of technology. Interning at Nasdaq this summer helped me learn a lot more about my global challenge because Nasdaq is a company that has already begun to harness the power of technology. Nasdaq has created technology that powers the world’s market operators, clearinghouses and regulators, the building blocks of the global financial marketplace. In all of my experiences this summer, I learned about the diverse factors that come into play when harnessing technology. For my specific job, using technology to automate daily reports was tremendously beneficial for running an efficient exchange. I took on this project and went above and beyond what was asked of me to create a keyboard shortcut to cut down on time and to automate my daily report. By far my most memorable experience was being successful with this automation project and being able to leave a lasting impression with Nasdaq. I took this experience to learn as much as I could about the futures industry and all that I could about using technology as a tool so I could play a beneficial role in our product development team. Working in a corporate office is a much different environment than any I have experienced before. This experience made me more independent and confident as a person, as I was thrown into challenging situations and made to problem solve and think on my feet. I feel as though my leadership skills have grown because of this experience, because I had to be accountable for my own work and manage my responsibilities while working cohesively in my team. I am pleased I was able to learn about the corporate environment while gathering useful information to take back to my GLI team in the fall! Having this experience not only prepared me for a job after college but it also gave me great insight on a global company’s daily operations and how they use and continue to unite technology and data. I am so grateful for this experience as I was offered a full time position post-graduation! I am appreciative to everyone that made my summer internship possible and for those I met throughout my involvement with Nasdaq. 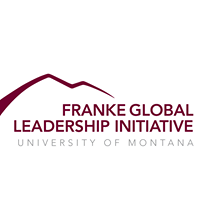 My GLI out of classroom experience truly was life changing and has launched my future career! I had a lot of expectations and plans for my time in Japan, but I never imagined that I’d find myself in a tiny house in an abandoned village in Fukushima, singing karaoke with an elderly man that I had just met. He didn’t speak English. I didn’t speak Japanese. But when we finished singing “Hey Jude” by the Beatles, he gave me a huge smile and a thumbs-up and said “Good”. I said “sugoi”, which I think means “great!” or “amazing!”. It was one of the few Japanese words I could remember. I had been planning and dreaming about this trip for almost a year. I had a meticulous schedule and budget for every day that I would be there. I studied flashcards of Japanese survival phrases. I even made a map of all the places I would go. The trip was part of an international journalism class that I had with 15 other journalism students and two professors. Our plan was to write and report stories about people that were affected by the 2011 earthquake, tsunami, and nuclear meltdown. Each of us were assigned a story to focus on. Mine would be about how fishermen, the ocean, and Fukushima’s fishing economy were affected. I spent most of my time reporting in a fishing village in Fukushima and had the chance to interview several fishermen about their experience. It was was one of the most educational experiences of my life. I learned more in one month than I could have learned in a semester-long lecture class. I learned the most, though, when things went wrong and I had to veer off of the original plan. My maps and flashcards frequently failed me. Whenever I got lost in Japan, without the group or a translator, something magic would always happen. I would find myself laughing with strangers as we tried to use wild hand gestures and facial expressions to communicate with each other. I once got lost and ended up being physically pulled into a temple by a woman who wanted to show me how to perform a Buddhist prayer. Another time, I was dragged into a group of drunken Japanese college students who wanted to light fireworks with me to celebrate the beginning of summer. That night was one of the strangest and most memorable nights of my life. At the last minute I volunteered to write a story about a man who leads “darkness tours” of a small village in rural Fukushima that was abandoned after the nuclear disaster. I went to the village with two other students. Before we even talked to the man, I had the story all mapped out in my head. It would be about this village, frozen in time after people fled after nuclear disaster and about how this man found a way to profit on that by offering scary tours. When we got there, though, the experience was much different. For the tour, he just took us to his friends’ houses. Over the years since the disaster, he became close with the few remaining people in the village. When I asked him why he was taking us to see his friends as part of a “darkness tour”, he confessed that he just loves his village. He hoped that by offering tours, he could convince outsiders that Fukushima was not a nuclear wasteland. He wanted us to see that it was actually a beautiful forest and some friendly people still lived there. I didn’t have a plan for this kind of story. He drove us to a tiny house on top of a hill, where his friend greeted us at the door. He explained to us that his friend’s name was Hiroshi and he was a great singer. Hiroshi had a karaoke stage and microphone set up in his living room. He sang us a beautiful song in Japanese and and then asked us (via a Google Translate) if we wanted to sing with him. We shrugged and agreed. While we were in the middle of singing the chorus in this man’s tiny living room, I asked myself “What am I doing here? This wasn’t part of the plan. How am I going to explain this to my professor? How am I going to write a story about this?”. I started to laugh and sing even louder because the situation was so bizarre. I forced myself to accept that the story I had planned to write wasn’t going to work out. After the song was over, we made a traditional Japanese dinner with the men we met in the village. We asked each other questions all night via Google translate. We laughed and ate a lot. It was wonderful. I learned last night that it is okay to let yourself stray from your plans and expectations. This summer I interned with Environment Montana in Missoula, which is a branch of Environment America. This has been an enlightening experience about the environmental issues facing both our state and country. For my experience, I was assigned to work on the organization’s Bee Friendly Food Alliance campaign, which brings together chefs, restaurants and others in the food industry to come together to help save the bees. Bees pollinate 71 of 100 crops that supply 90% of the world’s food and in the past decade, beekeepers have been reporting an average loss of 30% of all honeybee colonies each winter. Montana is not an exception to these statistics and bees are essential for the pollination of Montana crops like strawberries, pumpkins, onions and tomatoes. One major reason for bees dying off is the use of a category of insecticides called Neonicotinoids, also known as neonics. 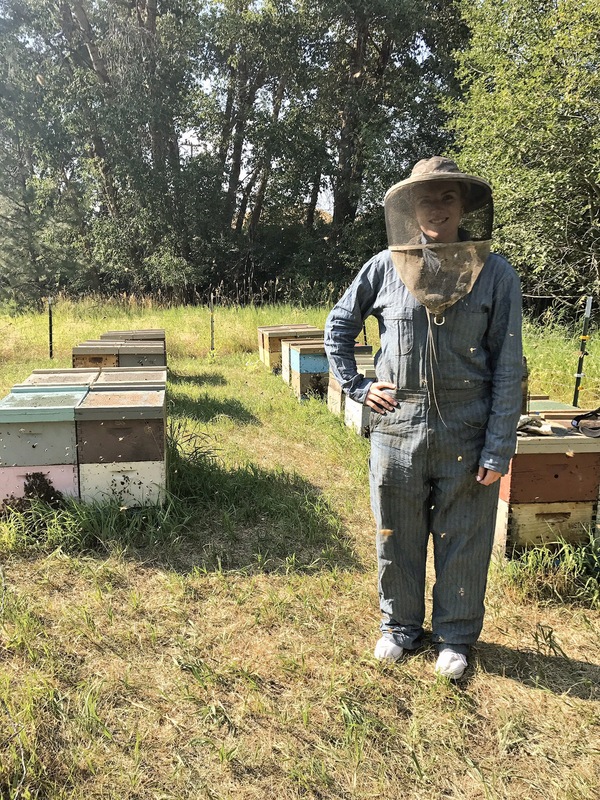 Missoula beekeepers have noticed the impact of insecticide-treated plants on their bees and know that the only way to protect bees is by changing agricultural practices and supporting wild plant life. I had the opportunity to interview Missoula beekeepers about these issues and create an informational video about these people and issues. It was a really great experience and I had a lot of fun making the video. Each beekeeper I spoke to was a wealth of information and taught me a lot about the importance of bees, what’s causing them to die off and how to protect them. I’m grateful that I was able to combine my journalistic skills and passion for the environment to form a really meaningful internship experience with Environment Montana and a video to share to communities around the country. I am much more aware of what issues are facing both bees and Missoula beekeepers after working on this project. Now, instead of swatting bees away, I’m thankful for their presence and am more aware of how my actions affect these tiny creatures and their ability to make much of the world’s food possible. Not only that, but I also got to experience beekeeping first-hand, suit and all. I arrived here at the farm about midday and I was soon greeted by the entire family. The Acetia Malagoli Daniele, named after the father Daniele Malagoli, is a small family run business managed by their eldest daughter Sofia. The family of four and their grandmother live in a beautiful yellow house in the countryside along with a herd of donkeys, several sheep, an army of chickens, a cow named Rosa and a few peacocks. They greeted me with open arms and showed me to my room for the next two weeks. Though I have only been here a day I can already see how much the Italians value their food, not just the recipes but also the ingredients. We all eat dinner together, with the ten of us seated around a table piled high in pasta and fresh vegetables. We talked about the differences in cherry names and what you use each kind for, today we picked large sweet cherries that are best for eating raw or cooking down into jam. The past few days have been a whirlwind, I learned how to feed and water all the animals on the farm, how to pit a couple thousand cherries (by hand) and the ‘art’ of faccina. Now what is faccina you might wonder? Several days before I arrived the other workers helped to trim the vineyard, after feeding the leaves to the goats the remaining sticks were loaded onto a bigger pile of sticks and that where our new job starts. In the mornings before the temperatures climb into the 90’s we break the sticks down into usable sizes and then bundle them. In all seriousness faccina, or creating bundles of sticks, is an important part of making balsamic vinegar. The sticks help create the fire that the grape juice is cooked over eventually turning it into a thick sugary liquid that is then aged into vinegar. The work is quite monotonous but it has been good to spend time getting to know the other workers, talking about international politics and why we all decided to work here. Flo (Floris) and Sabine, are taking a few months off work to travel. They have spent the last few months in Southeast Asia and decided to spend their last month away from work volunteering and learning some new skills on the farm. Anna, a graphic designer, just finished her work in Germany for Adidas and wanted to take a break from normal city life while she looked for new work. They are a really great group of people all with different strengths and experiences working and traveling abroad. Today was also the final day of pitting the cherries and I am really happy it’s over. Tomorrow Barbara, Danielle’s wife, will start making the jam and other sweets. Now we will start preparing for a large tour of cyclists coming on Saturday. The Acetia offers a tours to a variety of different groups. Sofia manages all of the public relations for the family, and has really turned her family’s passion for vinegar into a business. The family used to make balsamic vinegar as a hobby and give what they made away to friends and family. (This sounds a little crazy when you realize that the family has at any given moment about 700 barrels of balsamic vinegar.). Sofia decided to turn the family hobby into a business and has since expanded their product to several different countries. Barbara however does the majority of the work. She is the one in charge of making the vinegar, bottling the vinegar and maintaining a high quality product. She is incredible. The cyclists came today, what we expected to be around 200 people ended up being closer to 50 because of the heat. The next few weeks are going to be hot as a huge heat wave moves through Southern Europe. It was a little disappointing not having a big turn out but it was never the less a good event. In the morning we helped set up tables, prepared food and cleaned the yard. It was also the first day I got to go into the acetia. The acetia is actually located right above my apartment (thankfully my apartment doesn’t smell like vinegar). Walking into it you get hit with this overwhelming smell of vinegar, it’s not bad but it definitely grabs your attention. Inside all the walls and floor space is filled with vinegar barrels, some of them almost 200 years old. The sizes range from wine barrel to bread loaf. In the process of aging the vinegar you move the vinegar from largest to smallest barrel, the smallest barrels are at least 25 years old and contain the most expensive vinegar. While in the acetia Sofia gave the cyclists a tour and I aided in passing out samples. She talked about the aging and production processes and the importance of following the traditional method of balsamic vinegar production. In Italy balsamic vinegar that follows a strict traditional production method is labeled with D.O.P., meaning it is only made with cooked grape juice grown in a specific region in Italy and aged in wood barrels without any artificial additives. Vinegars with the D.O.P label are considered to be some of the best in the world. The last few days have been hot, really, really hot. We moved an old bathtub into the yard and have been using it as a swimming pool. Whenever it’s too hot to work we fill it with the hose and sit in it for a few hours. Beyond that things are going well (with the exception of the peacocks who decide to sit outside my window and scream for all hours of the night. If we get to choose what animals get eaten next I’m choosing peacock). In the mornings we feed the animals and over the last few days have done quite a few odd jobs. Moving hay bales, moving chickens, finding new chickens and putting them in the incubator, stoning about 50 lbs of peaches, and splitting giant logs are a few of the most memorable. Today Anna found several newly hatched and abandoned ducklings (we think a fox got onto the farm the other night because several of the birds abandoned their nests, these eggs hatched from the heat. It’s really hot here). Anna has since adopted the ducklings, they have imprinted on her and now accompany her in our daily chores. We have moved into the vineyard and have started to prune more of the grape vines. It’s fun work and very rewarding when you finish a row. I am feeling very thankful to have been given the opportunity to travel and to find myself in the company of so many talented and kind people, not to mention this beautiful landscape. I am really enjoying staying with the Malagoli family, all of them are very kind and personable people. Barbara has been teaching us about traditional Italian cuisine and showed me how to roll tortelloni, Danielle has been helping us to finish some of the wood cutting. We actually managed to break an industrial wood cutter that Danielle designed because the wood was so hard. Taisia their youngest daughter has been hanging out with us a little between studying for her final exams next week. It feels like I am part of the family. Today was weird. A good weird but I’m still working out the details in my mind. So the morning was as usual, fed the animals drank some espresso, nothing too crazy. But then Sofia mentioned that there was a street party in a nearby town and all of us were invited to go. We decided that it would be fun and agreed. Then Danielle asked us if we wanted to go to his friends BBQ and we agreed to that too. So come about 7 at night we arrive at Danielle’s friend’s house which was in a beautiful and kind of secluded, forestry area. Things are good, everyone is socializing, eating and then they lighted a large bonfire. Apparently we agreed to go to a pagan summer solstice celebration and before I knew what was going on I was covered in sage smoke and jumping over a fire and rolling dice to help me decide what I would accomplish in the next year. Then we went to the street party at about midnight. It was a completely different world from the solstice festival. Loud music, people dancing, strobe lights and some really crazy outfits. We hung out for a few hours and then made out way back to the house. Upon arriving home we were scared by a peacock hanging out in a tree above us like a ghost from a horror movie. Like I said, it was a strange day. Today is my last day here and I am sorry to go, it has been such a great experience getting to learn about agriculture in such a small and intimate setting. I feel like I have learned a lot about Italian culture, food and various international perspectives on farming, politics and what it means to be connected to one’s cultural roots. On my last day here Anna and I headed out into the vineyard with her ducklings to trim some of the plants and then had a great lunch with the family. I have a new appreciation for traditional food products and quality food. I have always loved cooking but being in Italy has taught me about the history behind their food and why it is important to keep alive these century old traditions. Food is the glue that holds Italian families together, everyone is involved in either cooking, eating, cleaning, shopping or making something that contributes to the meal. I am incredibly thankful for the Malagoli family for this experience. Now I leave for Spain to do a month long course in Spanish in Almeria, Spain. Thanks again to everyone I met in their past month, you all taught me so much!